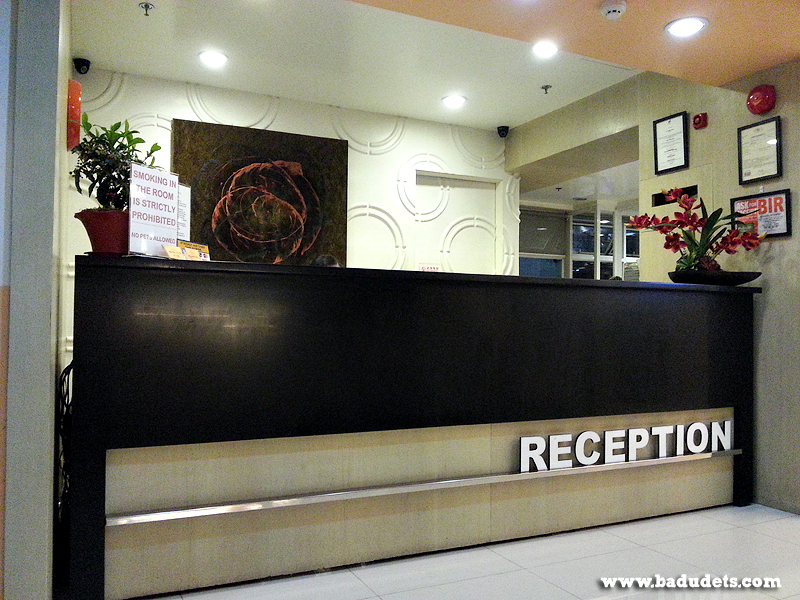 Where to stay in Coron: Corto Del Mar Hotel review | Badudets Everything Nice! Corto del Mar is just a 30-45 minute ride to/from the airport. Outside the Francisco B. Reyes airport, vans are on standby to pick up passengers for Php 100. When going back to the airport, just request a van at the reception and they will take care of your pickup. 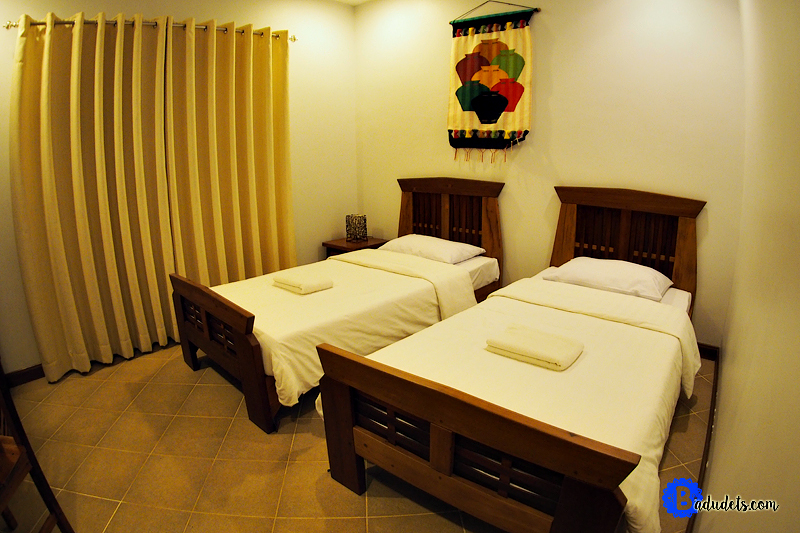 We booked a Family Room, it has 2 bedrooms, a living room, a separate bathroom and toilet. This 56 sqm. space is perfect for us since we are 4 adults and 1 child. The room feels so regal I forgot I am in a laid back town. 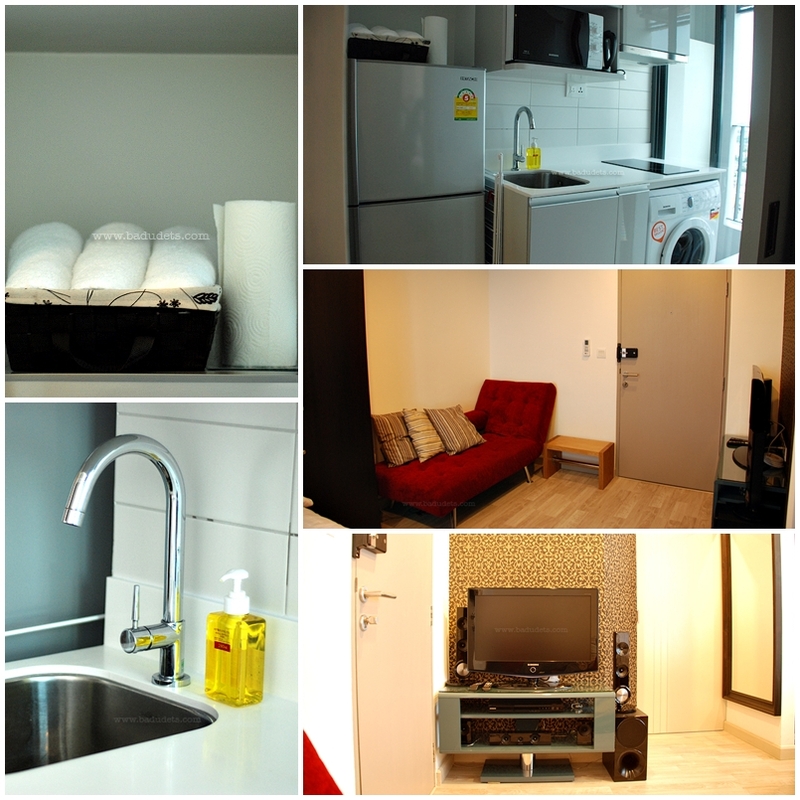 Upon entering the main door of our Family Room located at the 3rd floor, the living area is located at the left side, there’s an LCD TV and a personal ref. I love that there’s a ceiling fan aside from the AC. 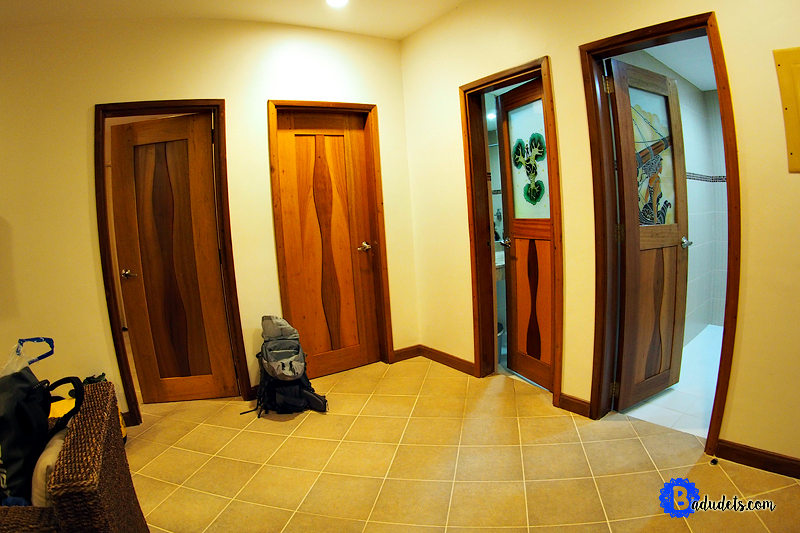 The first 2 doors leads to the bedrooms while the other two are the toilet and bathroom. 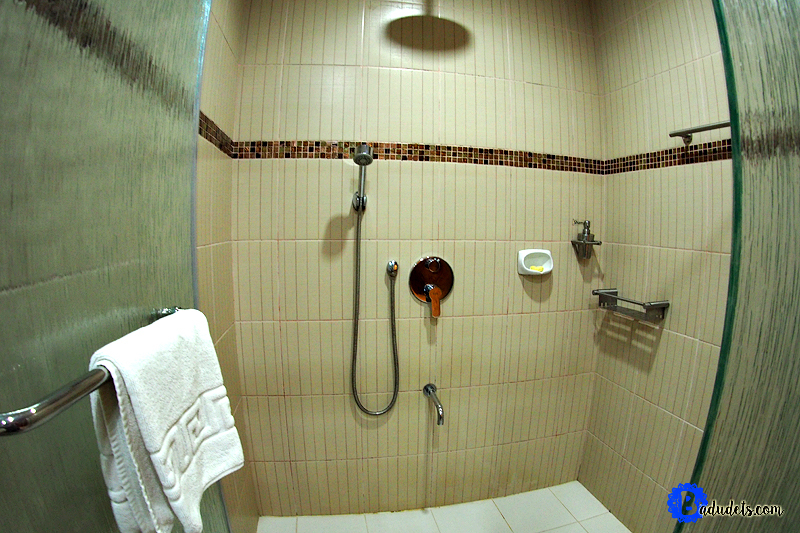 Here’s the shower area, water pressure is fine but finding the right water temperature is quite a challenge. I appreciate the fact that they separated the shower and toilet for a room that can accommodate 4 adults. 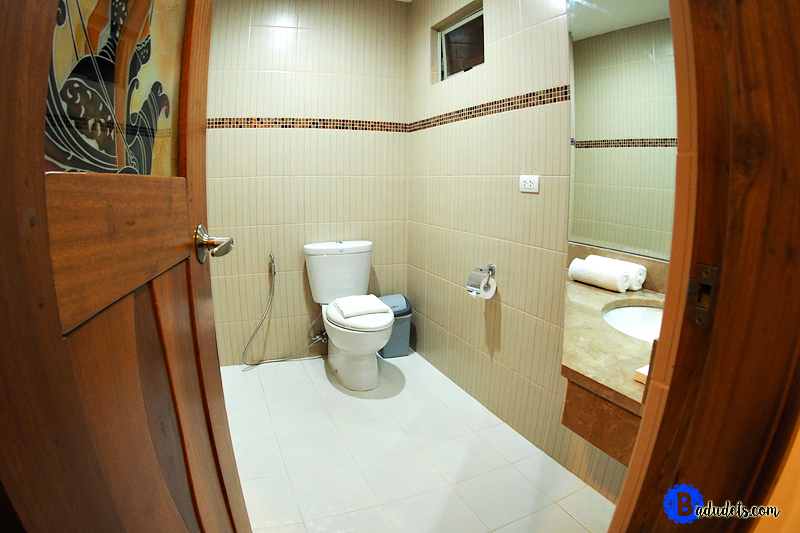 Both the shower and toilet have big sinks and the counter is spacious enough for your stuff. They provided toiletries and towels as well. One bedroom has a queen-sized bed, a dresser with a safety deposit box. Oh my, I love all that wood! 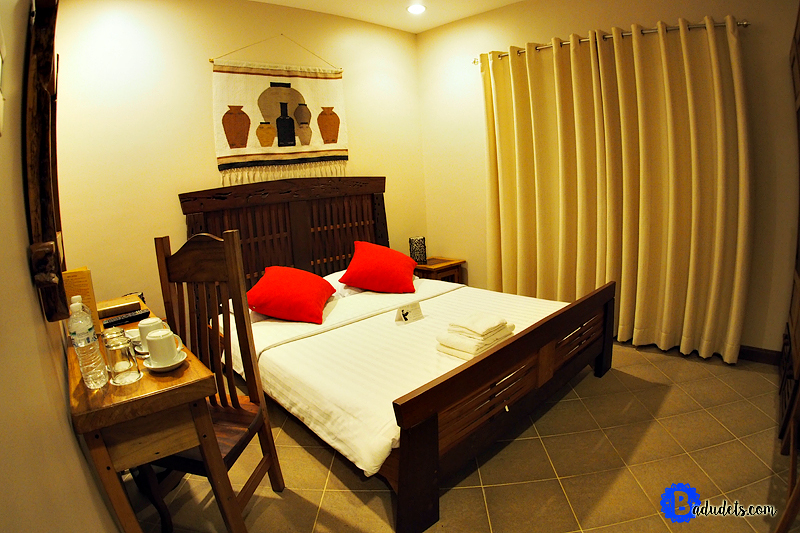 The pillows and the bed are so comfortable, the kind you’d want to bury yourself after a tiring islands tour. 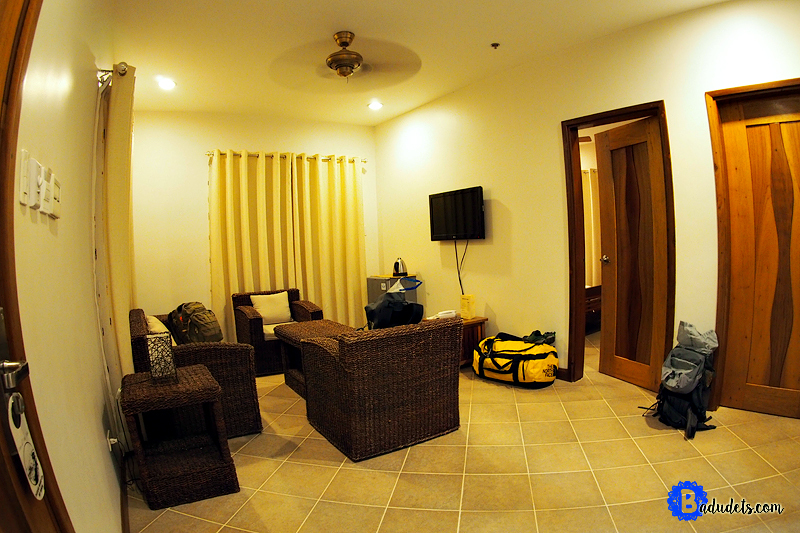 I had a hard time deciding whether to just sleep or swim in the pool :p.
Meanwhile, the second bedroom has twin beds. 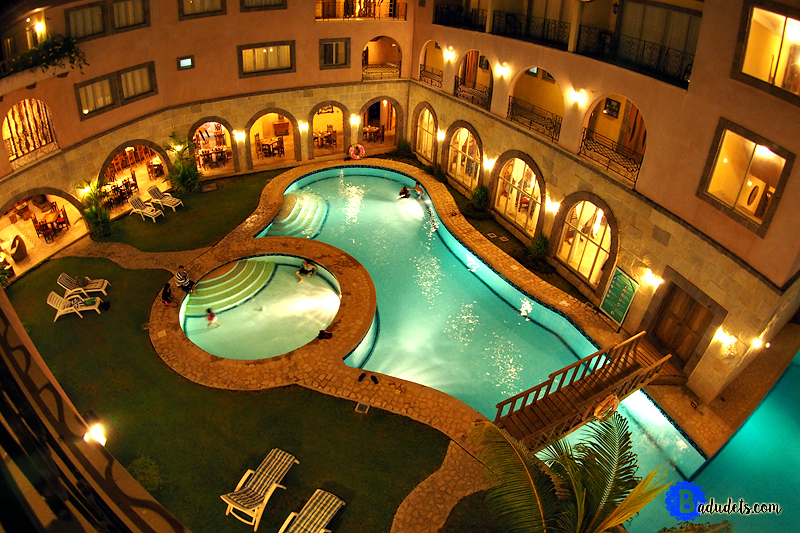 The pool area is mesmerizing especially at night, the lights are so dramatic and inviting. The small bridge over the pool adds drama to the place. There’s a kiddie pool, that small circle in the photo. Lounge chairs and towels are provided for the guests, you can order drinks at the bar and enjoy it while lounging. 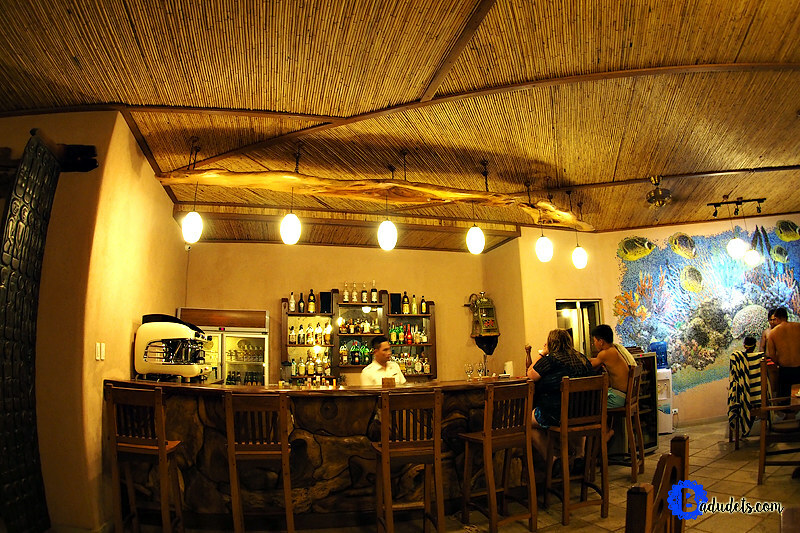 Corto del Mar’s bar offers a variety of drinks from beers to cocktail drinks, non-alcoholic drinks are available as well. An order of Margarita is around Php 180. At the other side of the pool is their restaurant. You can have a great view of the pool from where I was seated. The free breakfast is very filling. You can choose between a continental or Pinoy breakfast. A platter of fruits was also served. If your island tours get cancelled because of a bad weather, you can just enjoy some of the activities inside Corto del Mar. You can play foosball, located beside the bar area, play chess or darts, or just swim. I think this is one of the advantages of booking a hotel with a pool especially when traveling with kids. 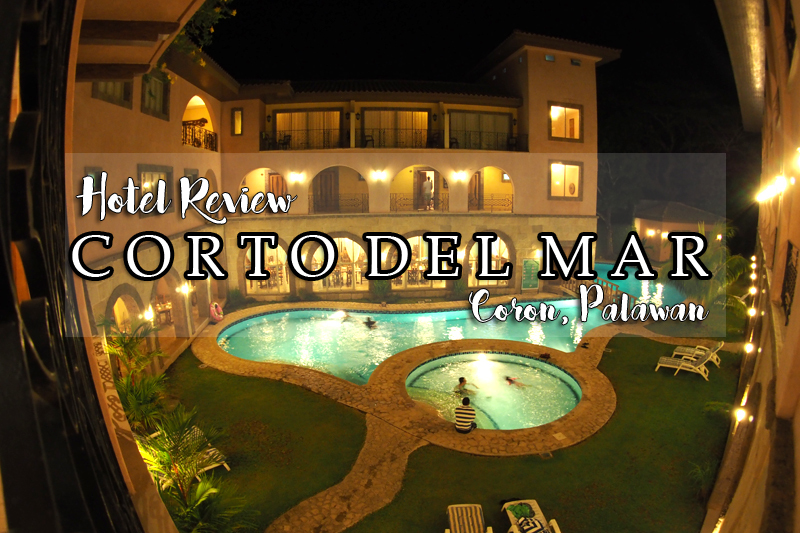 I’d give Corto del Mar a 4/5 stars. 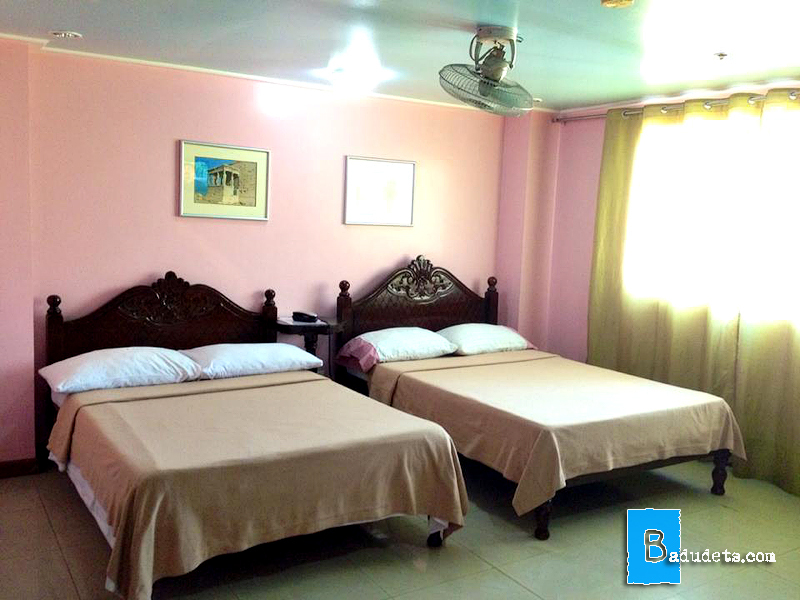 The rates might set you back considering the average hotels in Coron range from Php 2,000-Php 3,000 a night. But considering the comfort and the service, you’re getting what you paid for and more. If ever we’ll come back to Coron and we have a budget for it, we’ll definitely stay here again. Ask for a higher floor, 3rd floor if possible, so that your windows won’t be blocked by the roofs of the houses nearby. There are no views because all you can see in the surrounding are residential wooden houses so we always keep the curtains down. 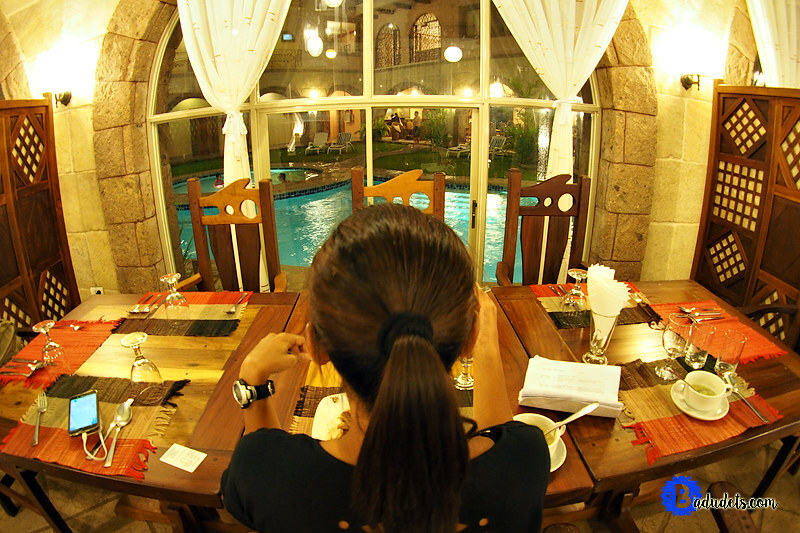 Booking beside the pool area at the ground floor is nice but the noise from the restaurant might bother your sleep. Oh, they can dry your clothes for free. Just call the staff to have your wet clothes picked up. 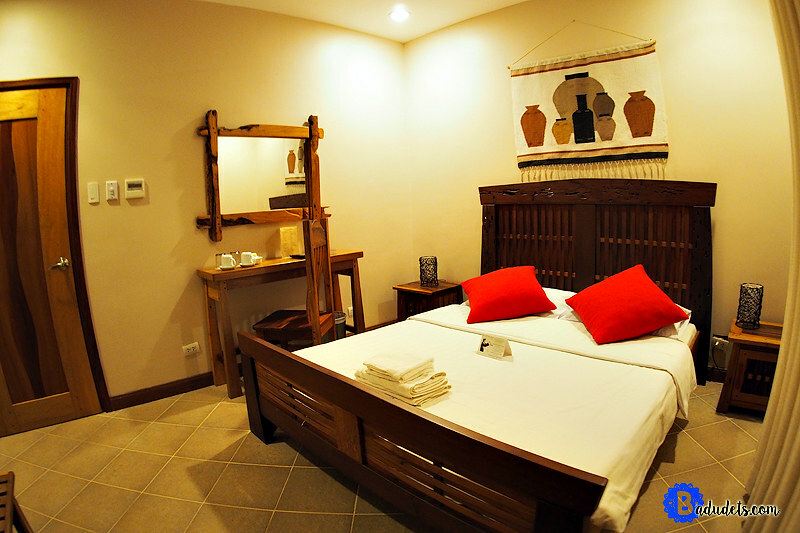 This is based from their website, check Agoda for discounted/updated rates. 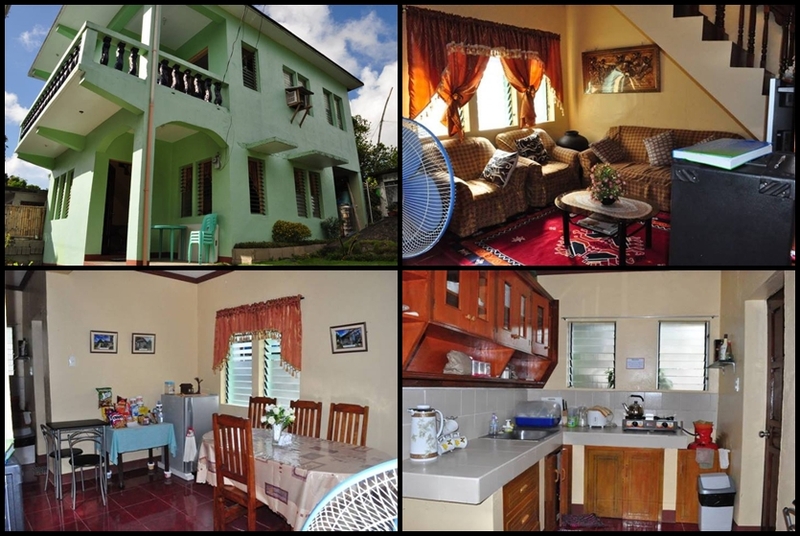 This is a good place to stay in Coron. I’m planning to go there so might try this one. what a cozy place to stay! 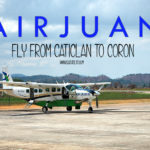 I have never been to Coron but it has been on top of my bucket list!